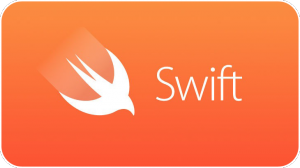 In 2014 Apple boldly declared that Swift is faster than Objective C. But is it? For those who don’t know, some background, it is a programming language that uses a LLMV compiler. Cocoa and Cocoa Touch are the targeted APIs for this language. But in spite of having similar features, the performance between Objective C and Swift is different. It does not need the legacy convention that was adopted by Objective C, that is why it is similar to the natural English language. It makes Swift simple because of that. It’s plain syntax is very easy to understand, so existing programmers can effortlessly adopt it; and for the newbies, it isn’t the nightmare Objective C can be. As the language drops the legacy of Objective C, it does not need two files to maintain it. In Objective C, a single class needs a header file (.h) and corresponding implementation file (.m). But in this programming these two files are combined in a single file (.swift). So programmers can focus on other issues, as they do not need to manually synchronize methods between files in it. Projects created in Swift will crash with a nil optional variable. This is another smart feature. The crash will let the programmers know of the bug and thus make the bug-fixing process easier. Repetitive codes are not used either. This lets developers work faster. As an example, concatenation of two strings, in Objective C to join two strings the developers needs to implement NSString’s stringWithFormat: method. But in Swift there is no need to call other methods of String. Another feature of it is the developer doesn’t need to memorize any string token (%s, %@,%d,%ld) to check the outputs. One thing to mention, in the past, memory management was a limitation. That has now been resolved. Swift Tautomatically handles the necessary processes. Another point, dynamic libraries were not supported in iOS before. This feature lets current iOS apps link with the new Swift languages that can emerge in the future. Overall, Swift is a full featured programming language that allows developers to build apps with target embedded systems. And the effortless and fast coding system is causing the developers to choose it over Objective C. Though Objective C is still considered as the basic programming language of iOS, Swift stands alone in it’s own grace.